On its victory lap of a new record, the group pumps up its breakneck jock jams with all kinds of fresh energy. Why See Fall Out Boy? 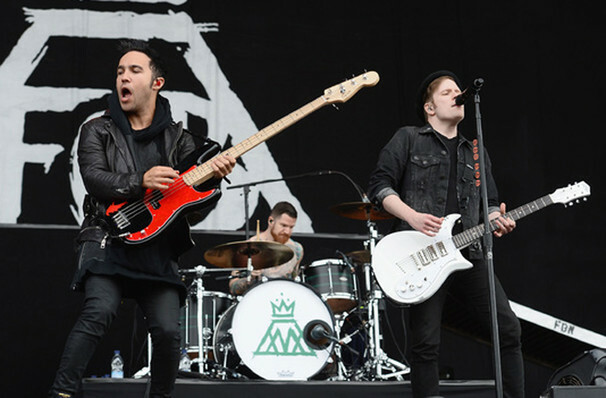 Fall Out Boy continue to tour their new record Mania, a startling sonic reinvention for band, joined this time by Machine Gun Kelly! The album is best displayed on lead single 'Young and Menace' with its high-pitched vocals and dubstep influences. The Chicago natives first formed in 2001, taking their name from a fictional Simpsons character (the members are huge fans of the show! ), and were constant fixtures in the tabloid press thanks to bassist Pete Wentz's highly publicised relationship - and later, marriage- with pop princess Ashley Simpson, as well as his erratic public antics. They went on hiatus in 2008 with various members citing personal difficulties, with Wentz entering treatment for prescription drug abuse. Now with their issues behind them, the band reunited in 2013 with a stunning comeback that took music experts by surprise with their fifth studio album Save Rock and Roll, and mammoth worldwide tour that saw them travel the world for over a year and a half. Sound good to you? 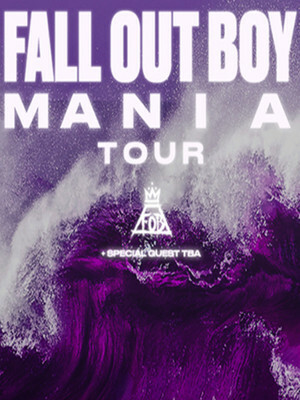 Share this page on social media and let your friends know about Fall Out Boy at Nationwide Arena. Please note: The term Nationwide Arena and/or Fall Out Boy as well as all associated graphics, logos, and/or other trademarks, tradenames or copyrights are the property of the Nationwide Arena and/or Fall Out Boy and are used herein for factual descriptive purposes only. We are in no way associated with or authorized by the Nationwide Arena and/or Fall Out Boy and neither that entity nor any of its affiliates have licensed or endorsed us to sell tickets, goods and or services in conjunction with their events.